WebVend is the premier web-based inventory solution that keeps supplies at hand while catching profit loss on your manufacturing floor. WebVend is easy to install and even easier to use. First, select key areas in your process that can benefit from fast, controlled inventory access. Implementation is quick: the unit is plugged in, connected, and stocked. Users can swipe their card to receive the tool, part or supply they need, without costly interaction with other employees and labor intensive forms. 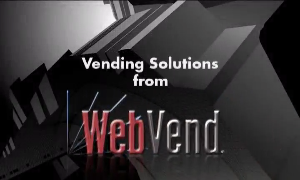 WebVend gets you connected for rapid replenishment that never forgets to order, giving you historical data you can use and trust. Ensure better quality by tracking and mandating the replacement of tools when required. WebVend is up and running 24/7 and never needs time off. By going web-based, you reduce POs, dont need upgrades, extensive and expensive training, or use multiple steps to dispense or refill.